Hyderabad, March 23: The wax statue of superstar Mahesh Babu, to be unveiled on March 25 at Madame Tussauds in Singapore, will also be displayed at the stars multiplex theatre AMB Cinemas here for a day soon after its launch. In a statement, it has been announced that the statue will be flown down from Singapore to AMB Cinemas where it will be displayed for a day on March 25 soon after the launch event. Deepika Padukone’s Wax Statue at Madame Tussauds ‘Double Trouble’ for Sister Anisha. 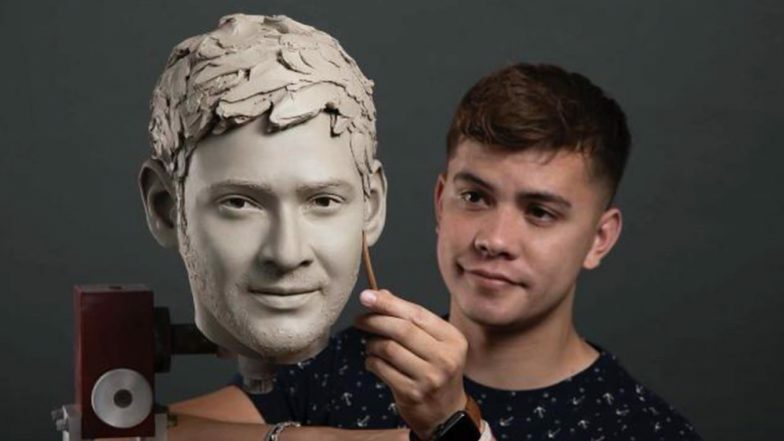 A select group of fans, who were screened through sketching and other contests, will get an opportunity to take selfies with the statue of Mahesh Babu. The event will be streamed live across various platforms, according to the statement. Mahesh Babu is the second Telugu star after Prabhas to be immortalised into a wax statue at Madame Tussauds, Singapore. On the career front, Mahesh is busy wrapping up the shoot of his upcoming Telugu film "Maharshi", which is being directed by Vamshi Paidipally. Last seen playing a chief minister in "Bharat Ane Nenu", Mahesh will soon begin work on his next project with director Anil Ravipudi.